The Matinee ’18 August 17th edition is a blustery affair – for the most part anyway. Raging rockers, hip-shaking pop anthems, and one dazzling ballad fill up the mini-playlist. We begin, though, with the return of one of the great singer-songwriters of the past decade. 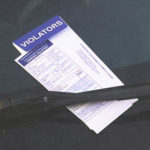 The biggest surprise yesterday came when Kurt Vile and his band The Violators dropped a late-summer gem with “Loading Zones”. The song is classic Vile – an ’80s rock tune filled with some awesome guitar riffs and socially-charged lyrics that highlight the struggles of regular Americans. It’s easy to watch the video and describe how Vile attempts to run his daily errands while avoiding getting a parking ticket. He double parks and stops in loading zones and in front of driveways. His lyrics and the visuals, though, indicate much more than just a guy racking up tickets. They display a world, specifically Vile’s hometown of Philadelphia, becoming increasingly overburdened with rules and restrictions, and those who are most effected are the working class and poor. Ever the brilliant mind, Vile even mailed out mock parking tickets as part of the single’s marketing plan. (Those frighteningly authentic looking citations are featured on the album cover art.) That’s how he lives his life, and we applaud his plan. The single is out now on Matador Records. Kurt Vile & The Violators will be on a massive tour starting in October, and hopefully they’ll bring along tunes from a new album. Slowly but surely, Vancouver-based outfit Fake Shark are emerging as Canada’s feel-good band. 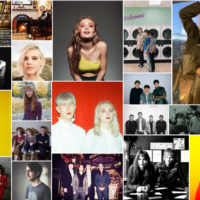 If you’re down in the dumps and need a pick-me-up or just need some music to celebrate the weekend’s arrival, their songs always offer the perfect antidote. It’s not surprising, then, to know that Kevvy Mental, Louis Wu, Tony Dallas, Alex Glassford, and Jake Fox have become a favorite of those who have seen them live. Their concerts are energetic and lively, and they’re almost spiritual in that you become reinvigorated after the experience. Even if you’re unable to see them in the flesh and blood, listening to their tunes has the same effect, as evidenced by “Feel Alive”. Akin to the disco-funk that filled dance halls and clubs in the ’70s and early ’80s, “Feel Alive” is fun, exuberant, and an intoxicating charmer. “You got to do what compels you”, the band sings, and these words perfectly describe the track’s impact. It’s going to make you want to dance and even shout out loud, releasing all the tension in your body while marking the end to another hectic work week. If you’re not the dancing type, it’s o.k. to bop around or shimmy in your chair. The most important thing is to let Fake Shark deliver you to the promise land (by which we mean somewhere to celebrate the last days of summer). “Feel Alive” is out now on Light Organ Records. The punky, rocking firecrackers that are FIDLAR have just completed their European tour, and the North American portion kicks off September 7th (dates and information are here). 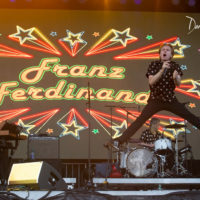 Despite traversing the globe, there is still no word on whether and if a third album is in the works, as fans await the LA band’s first record since 2015’s smash-hit Too. 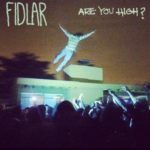 Rumors, however, are filling up cyberspace, and they’ll only grow with the release of “Are You High”. “Are You High” is actually the outfit’s fourth single release this year (two covers and one original), and there’s a common theme among them – about dependency, addiction, and using a stimulant to get through the tough times. So when the opening words, “Hello. Goodbye. Are you high?” are stated, don’t take this as an invitation to smoke up and take a hazy trip. Instead, it’s FIDLAR reaching out to those who need someone to talk to, which includes themselves. So despite the heavy and rambunctious thrashing of the guitars, bass, and percussion, Zac Carper, Max Kuehn, Elvis Kuehn, and Brandon Schwartzel do have a softer side. No wonder hundreds of thousands of people are anxiously waiting for their third LP to come. Anyone who has followed us knows we, collectively, are massive shoegaze fans. Heck, Slowdive’s eponymous LP was our #1 album of 2017 (that is if we officially ranked them but trust us on this one). While a year ago we saluted Slowdive’s return, today we honor a little band hoping to make similar waves as the shoegaze titans. Formerly known as Danxia, Emma Bate-Nilsson, James Atherton, Louis Haughton, Luke Holland, and Dave Kennah have rebranded themselves as Holy Drone. 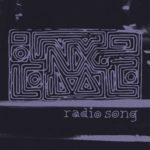 Their new name is immensely appropriate, as their latest single, “Radio Song”, sounds like it came from beyond the heavens. Celestial waves of dazzling shoegaze shower upon our welcoming ears while Bate-Nilsson’s dreamy vocals swirl high above the fuzzed-out storm. For under three minutes, we are overwhelmed by a song that is simply shoegaze brilliance. Here’s hoping Holy Drone’s storm continues so that all can experience their dazzling force. The Jacks have returned with a new track titled “Tonight”. It’s a great new rocker from the LA quartet. The band so far have continued to prove their talent with gritty rock ‘n’ roll which has a hint of old school Brit pop shining through. The fact that The Jacks are a straightforward what you hear is what you get band is quite refreshing. Their live set is also one not to miss as we witnessed earlier from SXSW this year. “Tonight” includes fiery riffs, an addictive chorus as well as strong vocals provided by Jonny Stanback. Their timing is right on with taking the listener on a proper rock ‘n’ roll ride. It’s the perfect track to jam and sing along to while getting ready for your upcoming night out on the town. Maybe you will be running into someone you can’t wait to see, even if they are possibly unavailable. We have had The Jacks on the radar ever since we shared one of their first singles and they are definitely ones that could break out in a big way. They are already selling out elite venues in LA including The Troubadour which indicates, they just need a bit more exposure to make a bigger impact nationwide. They will have just that chance with an upcoming nationwide tour. Dates are available here. The Jacks are Jonny Stanback (vocals/rhythm guitar), Thomas Hunter (guitar), Scott Stone (bass), and Josh Roossin (drums/percussion). 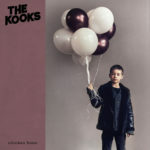 The Kooks‘ new album has been one that has been highly anticipated. They have satisfied fans with releasing new singles throughout the year. It’s possible this is the last single until the new album is released. “Chicken Bone” is Brit Pop gold with a sunny and bright number to properly close out this summer that is winding down for many. The song also tackles a bit of urban disillusionment and the pressures of living in a big city. The track feels a bit more like their 2006 debut Inside In/Inside Out which will please early fans of the band. “Chicken Bone” is a perfect track to jam this weekend with it’s upbeat vibe that reminds a bit of The Kinks. With each one of their new singles released, the album seems to be shaping up to possibly one of their best. The Kooks are Luke Pritchard, Peter Denton, Hugh Harris, and Alexis Nunez. Their new album, Let’s Go Sunshine, is out August 31 via Lonely Cat and AWAL. These are the first words from LUCIA‘s sweet little tune, “Summertime”, and they perfectly describe the effect of the Glaswegians’ new tune. 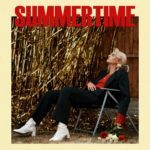 In other words, “Summertime” is pure August pop bliss wrapped in a compact but catchy three minutes. Some ’60s-era doo-wop vibes merge with surf-pop arrangements to create the feeling we’re partying on the beach with Annette Funicello and Frankie Avalon (if you’re too young to know these names, Google them). We’re running in the sand with our friends and holding hands with our soul mate. Meanwhile, a band is strutting their stuff on the boardwalk, creating the soundtrack for this one moment if not the entire summer season. It’s not The Ronettes nor The Shangri-Las performing. Instead, this band is fronted by the personable Lucia Fairfull, whose delectable vocals and clever lyrics make us feel this song is about us. We may feel like the person she’s addressing or we are her, realizing that when summer expires a love affair may forever come to an end. 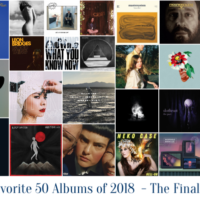 For us, our love affair with the band started over two years ago when Fairfull was a one-woman rock band called Lucia Fontaine, and we don’t see it terminating any time soon. The single is out now on Sweet Jane Recordings. 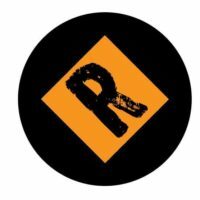 There’s still no word yet regarding a new album. We only have to wait two more weeks to hear Many Voices Speak‘s debut album, Tank Town. If you still don’t know who project mastermind Matilda Mård is, her story is one worth repeating. In short, Mård toiled in Stockholm’s music scene for years with limited success. She left the Swedish capital for the much smaller Borlänge, where she spent days writing and rediscovering her art. However, it was in the little city’s karaoke bar where she discovered and honed her new sound, and, thus, Many Voices Speak was born and Mård was rejuvenated. 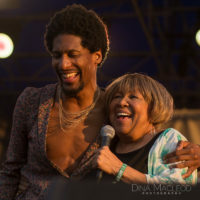 She returned with a bang in 2016, releasing a beautiful EP, Away for All Time, that included standouts “Video Child” and the title track. 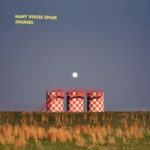 She continues to lay down scintillating and engrossing ballads, including “Chances”. A dream-pop masterpiece is the only way to characterize the track. Mård’s voice is spectacularly light and gorgeous, as she delicately brings us into her world and describes what she sees. From the “purple snow” to the person who “makes me wanna change my ways”, her realm is one of color and constant transformation. There are no answers to her questions, which makes this place one of uncertainty yet full of beautiful surprises, much like this stunning number. We’ll get to discover how gorgeous and radiant Mård’s world is when Tank Town is released August 31st. Strangers Candy (Europe) and Hit City USA (world) will release it. The LP was produced by Francis band member Petter Nygårdh. Has it really been a year since we last featured new music from SISTERS? 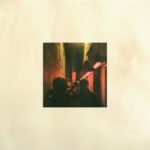 One of our favourite Seattle duos got us in a dancing mood last August when we shared their “Heart Beats” single. Now the duo of Andrew Vait and Emily Westman has us positively screaming with delight over their latest. 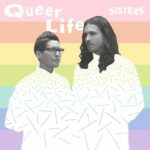 “Queer Life” is, unsurprisingly, a danceable anthem for the LGBTQ community. While we adore the effervescent grooves and positive, lifestyle-affirming lyrics directed to parents, the video is what makes this tune a must-see for all music fans. Until you have experienced the frustration of being told you will “grow out of” your gay lifestyle, you probably cannot relate to the demographically diverse cast of characters in the video. Or maybe you’re an LGBTQ ally who has supported friends whose families have verbalized this tune’s lyrics. Either way, it’s never fun to endure those comments. But now? This upbeat tune says everything that needs saying – and they say it in a way that will elevate your spirits, fill your heart with courageous pride, and make you want to shout from the rooftops. If you’re anywhere near the Pacific Northwest, head over to the free All Together Festival tomorrow in Portland. There you can see SISTERS performing with several other talented bands. If not, you can still enjoy the video. The festival and this single are brought to you by the folks at Tender Loving Empire. You can find the other SISTERS albums at their Bandcamp page.